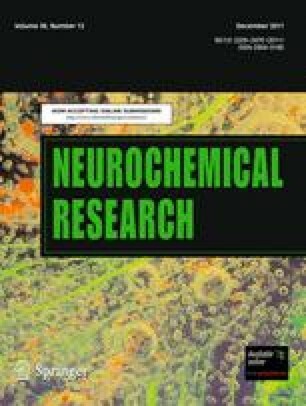 This study investigated the effects of microwave radiation on the PVN of the hypothalamus, extracted from rat brains. Expression of c-Fos was used to study the pattern of cellular activation in rats exposed once or repeatedly (ten times in 2 weeks) to 2.45 GHz radiation in a GTEM cell. The power intensities used were 3 and 12 W and the Finite Difference Time Domain calculation was used to determine the specific absorption rate (SAR). High SAR triggered an increase of the c-Fos marker 90 min or 24 h after radiation, and low SAR resulted in c-Fos counts higher than in control rats after 24 h. Repeated irradiation at 3 W increased cellular activation of PVN by more than 100% compared to animals subjected to acute irradiation and to repeated non-radiated repeated session control animals. The results suggest that PVN is sensitive to 2.45 GHz microwave radiation at non-thermal SAR levels. The authors are grateful to the Xunta de Galicia for funding awarded through project 09TIC006206PR. We also greatly appreciate the assistance provided by Jose Carlos Santos, Rafael Fuentes, Eva Dominguez, Isabel Tarrio and Eva Garcia.